If you own an HDTV, then you want to get the best picture possible when you are watching TV or movies. HDMI cable offer superior picture quality, but the price of some of the cable on the market can really give you sticker shock. This is a guide to saving money on HDMI cable. Look at HDMI cables on eBay. You can get them for under five dollars. Look for a well rated seller (top seller usually) and go ahead and get one. We bought our first HDMI for about 80 dollars. We bought our second from eBAy for about 3 dollars. There is absolutely no difference in the picture or sound. Meritline.com has loads of goodies at really great prices. They have a daily sale. You might like LocoBuy.com too. In addition, Google or Bing the cable you want and see what comes up. 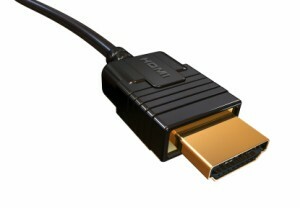 Keep you eye open at garage sales for HDMI cables or any other cables you are looking for. You can find cables that cost $10 for next to nothing. Newer cables, like HDMI, are also showing up at thrifty stores, so that's a good place to check.